Descarte's: "I think therefore I am" should change into: "I think therefore we are". "I am a QM system, which is assumed to be always non-local instantaneous correlated and in competition by VETOING the ideas of my opposite anti-copy I, living in a dual anti-mirror copy universe, therefore we are! 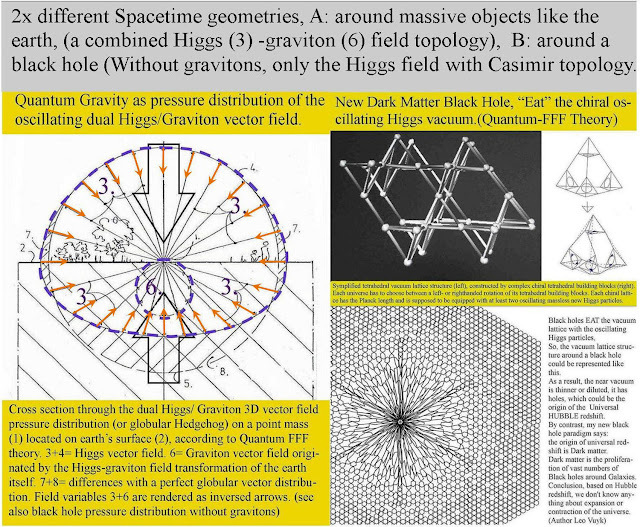 It could also be named: MIW is Many Interacting Worlds or better; COPY (Charge Parity) Symmetrical Worlds to explain the double slit one photon interference and veto-based consciousness and individual responsibility a la Benjamin Libet. Then we only have the possibility to VETO and act, in competition with other copy me's. So: I am not the driver (pilot) of my life I only are able to veto choices boiling up out of these universes to be still responsible for my actions. The Raspberry shaped Super Symmetric Multiverse without a CAT paradox. 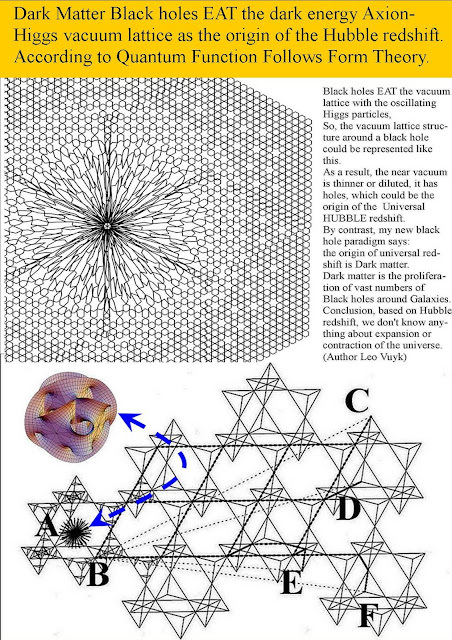 Fluctuation anomalies of the Cosmic Background . 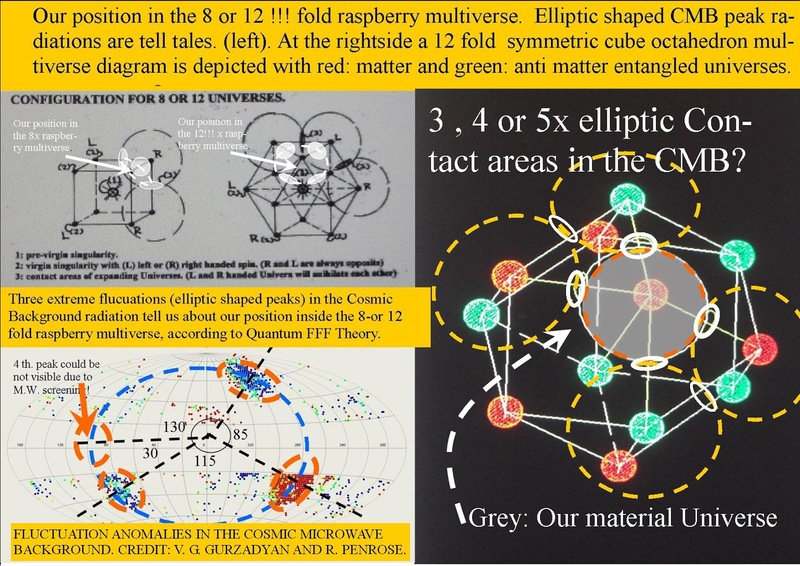 By Roger Penrose suggested to be contact areas with neighbor universes. The intention or preplanning for a decision to make or an act seems in fact to be equal important for the decision as the possibility to VETO the act. As a result we may be able to measure (in the future) the number of copy universes involved for decision making, by counting the average percentages of preplanning persons (subjects) in test situation like the Libet test. 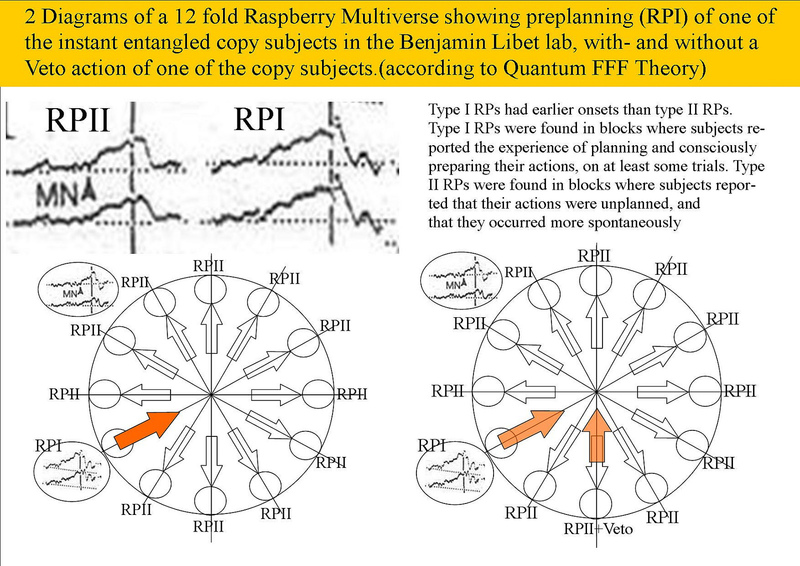 The time span between RPI and RPII seems to be very important for the creation of free will, because if this time span decreases, then the chance of vetoing an act will become minimal. The Human quality of : Considering, Revolve, Meditate, or Ponder could be direct related to it. However does animals have free will ? 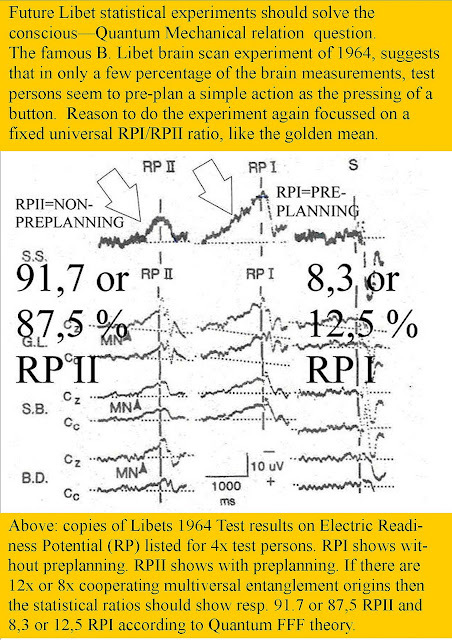 Could this also be reason for new research on precognition and telepathy? THEN I COULD PERHAPS TAP INTO ONE OF THOSE LINES OF OTHER PEOPLE, FOR TELEPATHIC KNOWLEDGE? The origin of Comet tail evaporation and plasma production, according to Quantum FFF Theory. 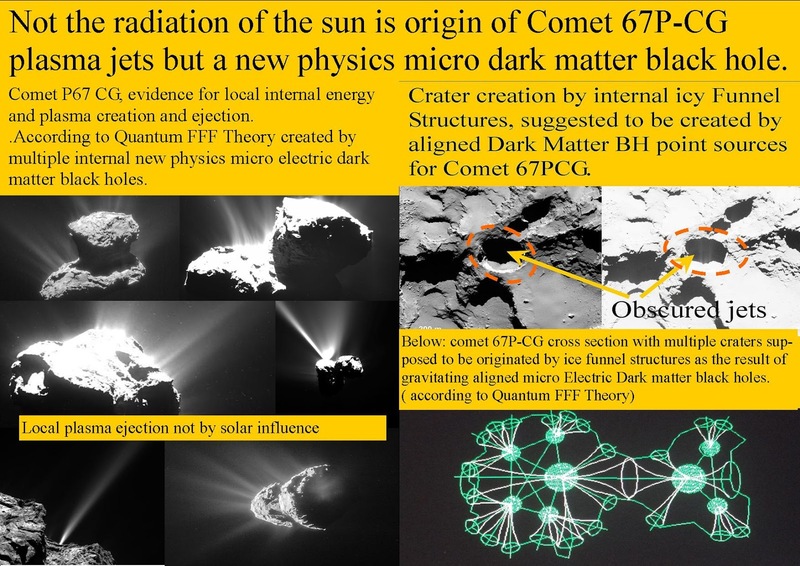 Not the radiation of the sun is origin of Comet 67P-CG plasma jets but several new physics micro dark matter black holes. See: comet 67P-CG cross section with multiple craters supposed to be originated by ice funnel structures as the result of gravitating aligned micro Electric Dark matter black holes. Einstein Cross Quadrupole effect expelained by quadrupole dark matter distribution. 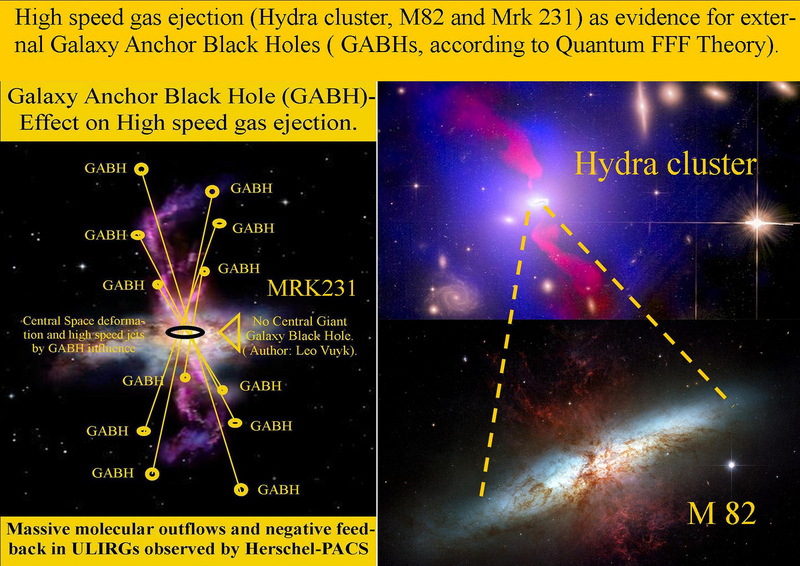 See also: High speed gas ejection ( Mrk 231) as support for dual polar external Galaxy Anchor Black Holes ( GABHs, according to Quantum FFF Theory). Free Energy For All by Cometary and HH energy downscaling?. Quantum Function Follows Form theory predict free energy for all in the near future, by down scaling of Herbig Haro (HH) systems and micro Black Hole based Comet nuclei from space to an earth- industrial scale. Why? Because the dual black holes of HH systems and comets do not swallow matter as Stephen Hawking and others predict but in contrast produce energy and even plasma/gas..
As a consequence we need new Black hole- en even new monopole based particle physics. HH systems are (according to Quantum FFF Theory) huge electron pumps with so called entropy reduction, and star formation in between. 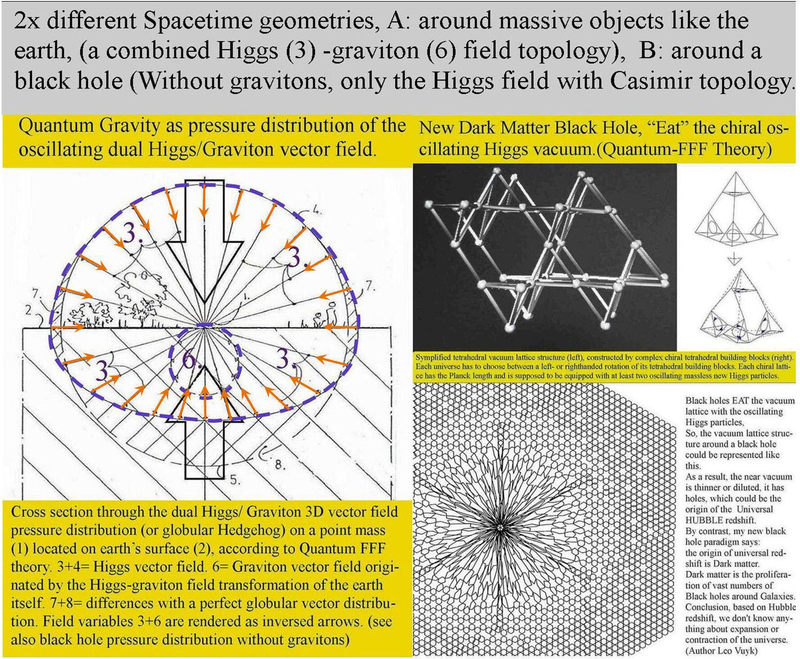 Comets seem also to produce water and other light atoms direct out of the vacuum, which is explained by the Axion Higgs vacuum electron positron production. 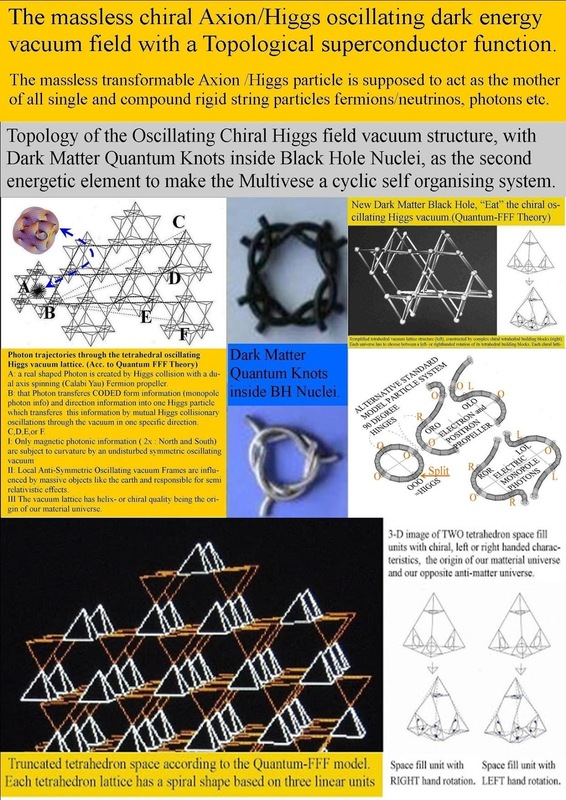 Down to earth we could develop technology for free HH based energy systems with even Hydrogen and water creation Just as Comets seem to do. 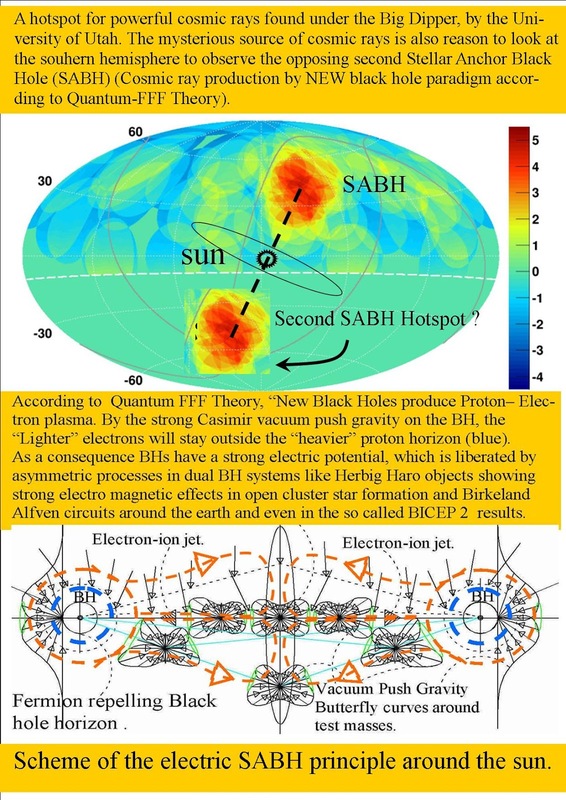 However, there is still one hurdle: to take how can we produce stable ball lightning /comet alike ( new physics) micro black hole nuclei, by interference of EM radiation quantum knots acting together as electron pump. 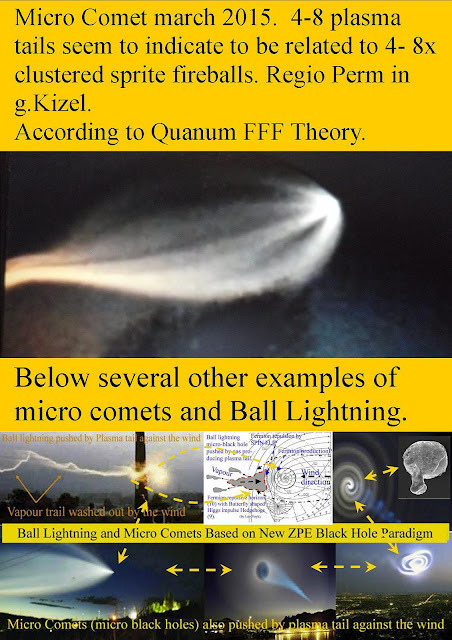 Stable earth bound comets seem to be produced above lightning in thunderstorms. "Wasteful" galaxies do not recycle but cycle heavy elements away into the CGM by GABH attraction. 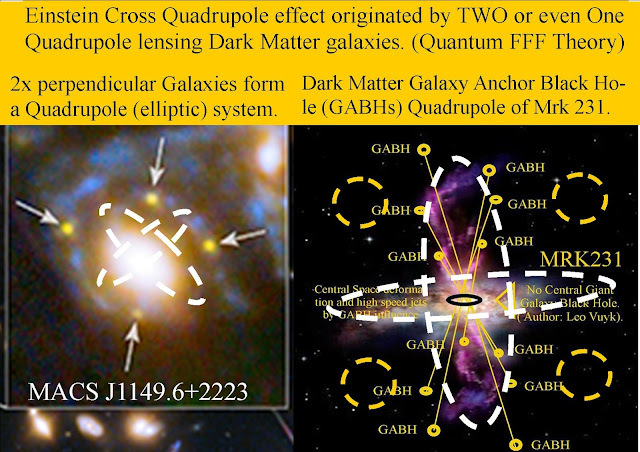 We observe multiple Galaxy Anchor Black Holes: (GABHs) in the Circum Galactic Medium (CGM). as remnants of former merger GABHs. 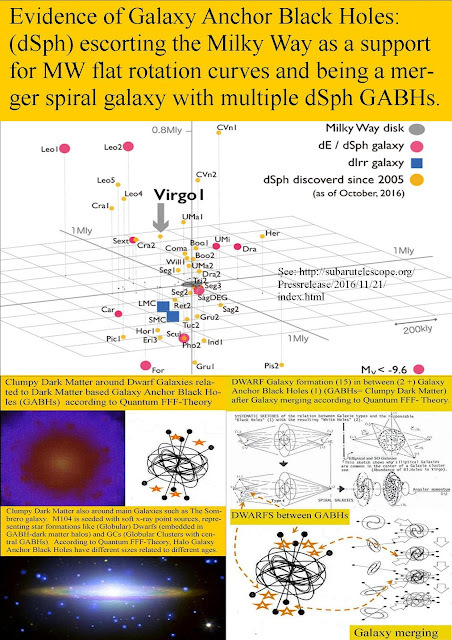 ‘Wasteful’ galaxies launch heavy elements into surrounding halos and deep space, CU-Boulder study finds. The (CGM), is thought to play a central role in cycling elements in and out of the galaxy, but the exact mechanisms of this relationship remain elusive. A typical galaxy ranges in size from 30,000 to 100,000 light years while the CGM can span up to a million light years. Galaxy Anchor Black Holes (GABHs) are supposed to be the centers of Dwarf spheroid star clusters located in– and around the Milky Way according to Quantum FFFtheory. A recently detected 27.000 light-year long remnant gamma beam is probably the tell tale of a primordial HH system. 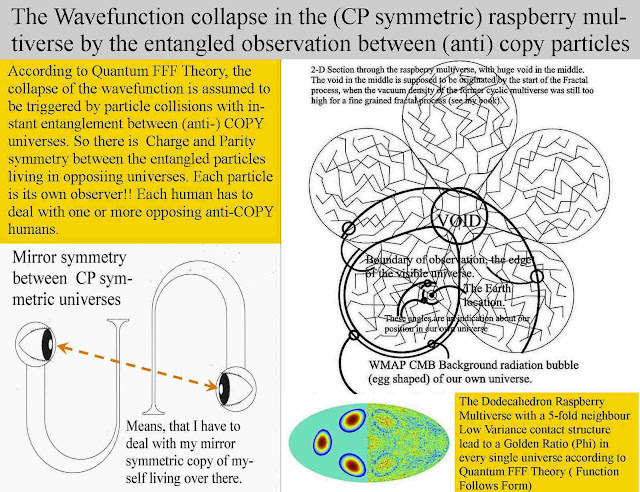 "FLUCTUATION ANOMALIES IN THE COSMIC MICROWAVE BACKGROUND. 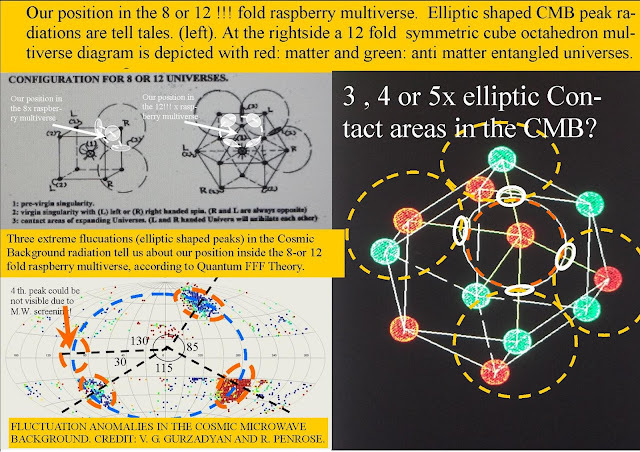 CREDIT: V. G. GURZADYAN AND R. 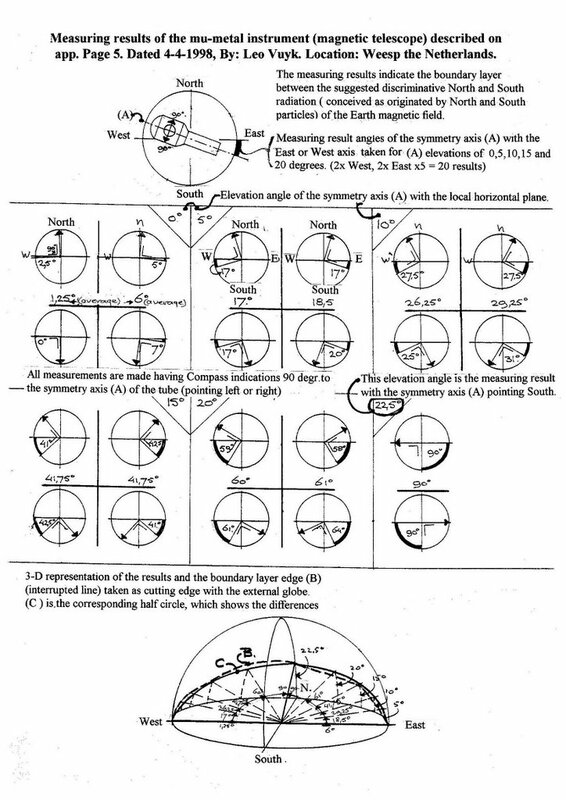 PENROSE." 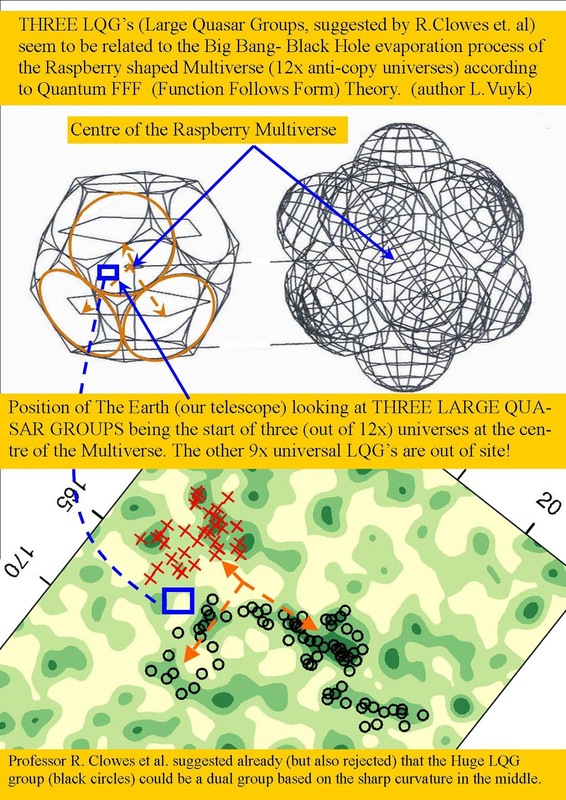 HOWEVER, it could be 4 or even 5 if the Milky Way blocks other large anomalies off. This raspberry multiverse version of "many worlds" does not require the so called "collapse of the wave function" in only one universe. 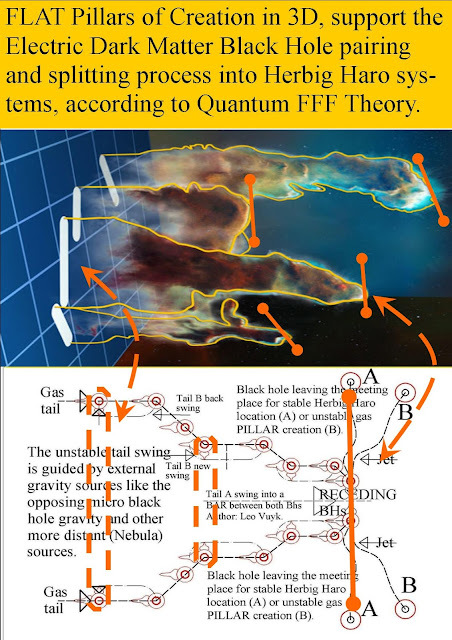 So we need no external observer to choose for the dead or alive CAT in the box in our OWN universe. We need (anti material ) copy observers inside all universes. If the 8 or 12 universes are Charge Parity ( CP) symmetric and quantum entangled with instant reaction, to communicate which branch of reality we find ourselves in, then God plays dice with multiple entangled CP symmetric pinball machines for non intelligent stuff . 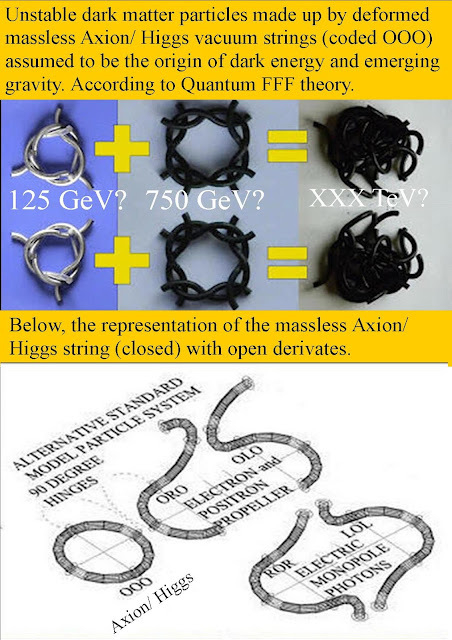 However my proposal is that each individual intelligent species like humans have the opportunity to VETO an act or idea, just like Benjamin Libet assumed based on his simple experiments. 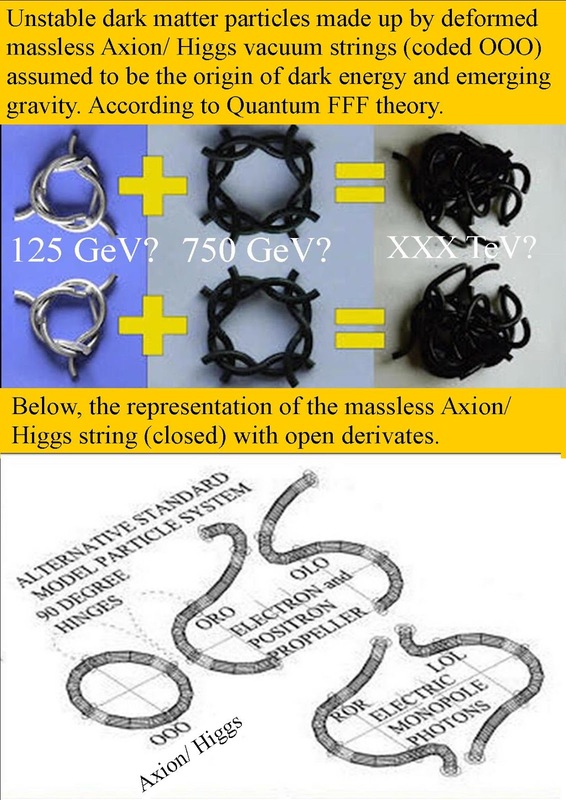 Democratic Free Will in the Instant Entangled Multiverse. Pigeon Orientation by a new Magnetic Dual Monopole Vector Information Field with Characteristic Curvature for Each Earth Location. 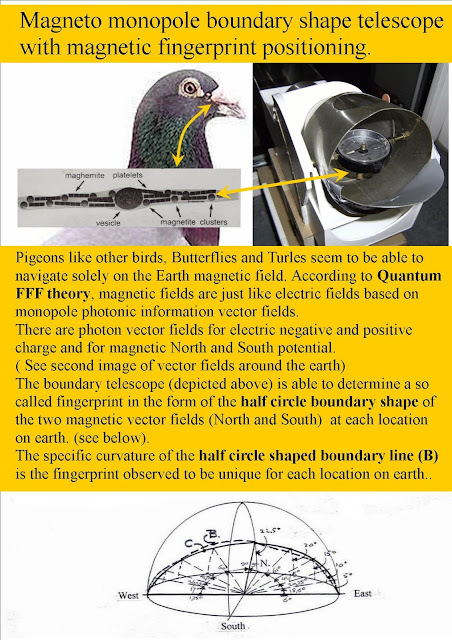 Earth Magnetic monopole field with boundary layer profile, (B) which seems to be different for each place on earth and a navigation map for animals like pigeons, butterlies and turtles. 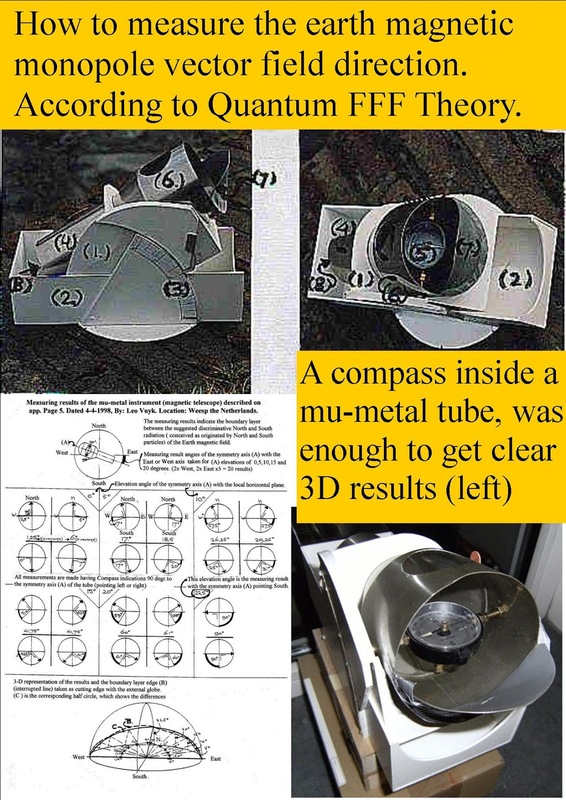 Animals like Pigeons and sea Turtles seem to be able to identify these specific curves (B) for different locations by the small amount of permalloy alike metals already found in their bodies, to explain the extraordinary qualities of animal orientation. According to Quantum FFF Theory (Function Follows Form) the magnetic quantum field has always TWO different shaped monopole components: a North- and a South component. 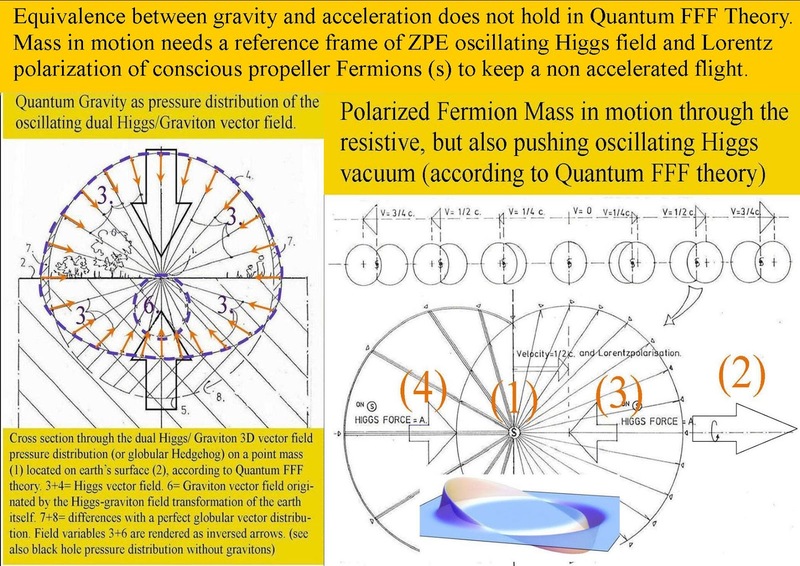 After interference of the magnetic wave with a real spinning Fermion particle, TWO real monopole magnetic particles from opposite direction will collapse and come to life as the result of two individual mutated Axion/ Higgs particles, able to do the magnetic job and interlock temporarily with the Fermion, to give the Fermion a push to the left respectively a push to the right. 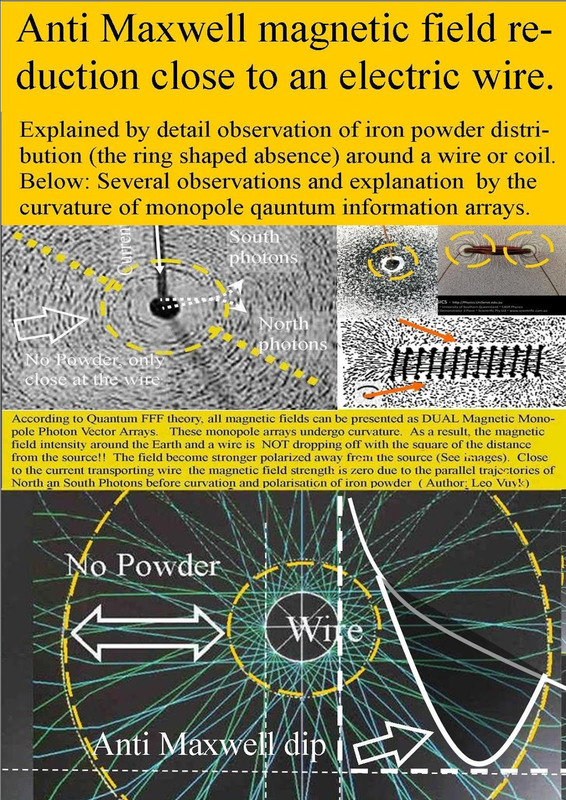 However, based on observation of iron powder patterns around wires, it is assumed that if these monopole particle/ wave dualities travel parallel to each other inside the Higgs field, the magnetic field strength locally drops down to zero. 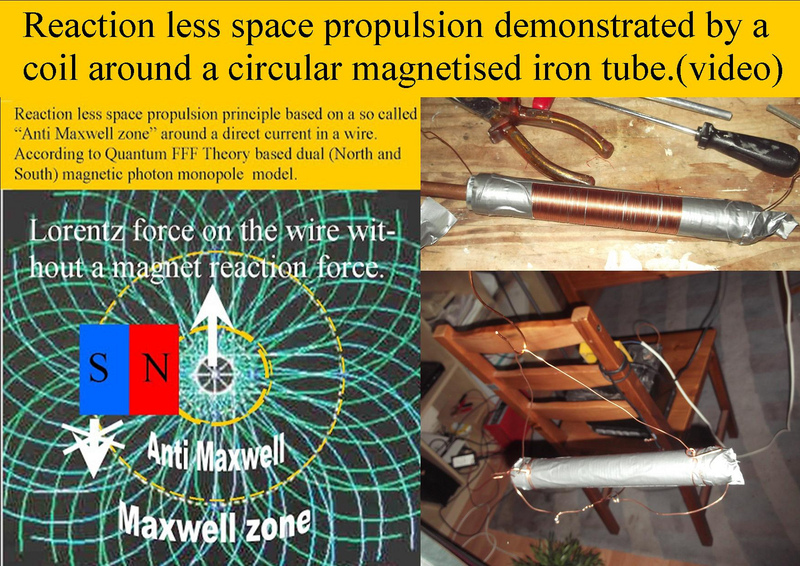 This is in contradiction with Maxwell’s magnetic field law around an electric energized wire and I call it the local dropping zone, which can be used for reaction less space propulsion and Levitation. Other dual magnetic monopole effects. Quantum Gravity and Electro Magnetic Forces by Dual Repulsive Vacuum Oscillation Spectra in FFF-Theory. 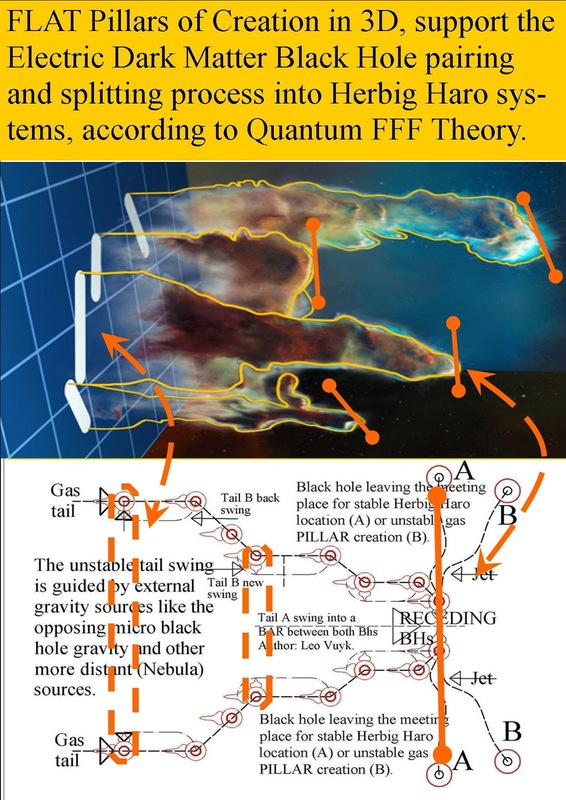 SO: Erik Verlinde is half right: there are no stable dark matter particles, there are only stable new physics dark matter black holes: Galaxy Anchor Black Holes (outside and inside galaxies) and smaller ones. The size? 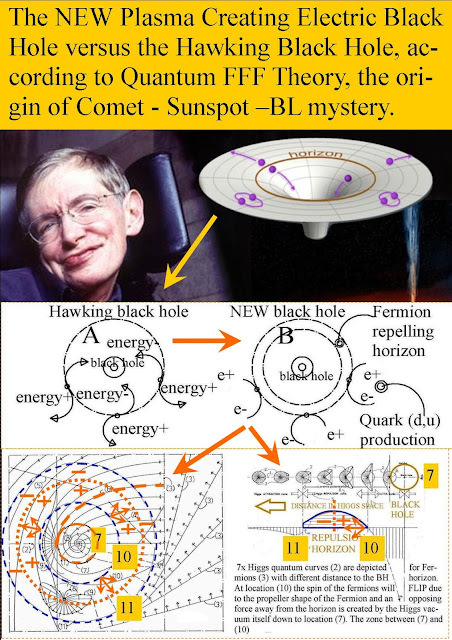 probably down to Sunspots and even Cometary nuclei. 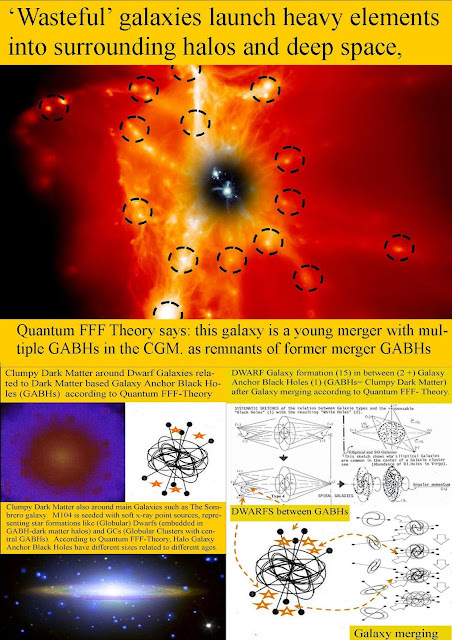 Abell 520 Galaxy cluster collision, is a clear example of the clumping of dark matter (black holes) during galaxy passage through the center of the collision. In line with Quantum FFF model. 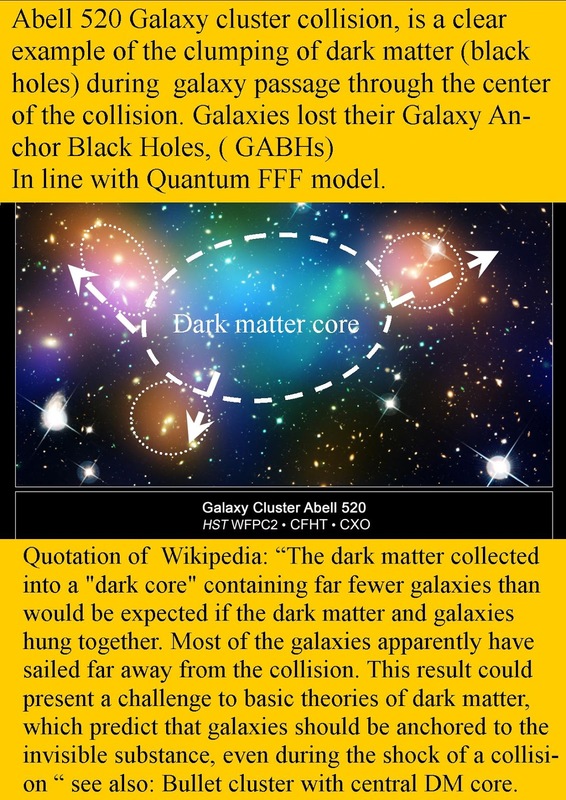 Quotation of Wikipedia: “The dark matter collected into a "dark core" containing far fewer galaxies than would be expected if the dark matter and galaxies hung together. 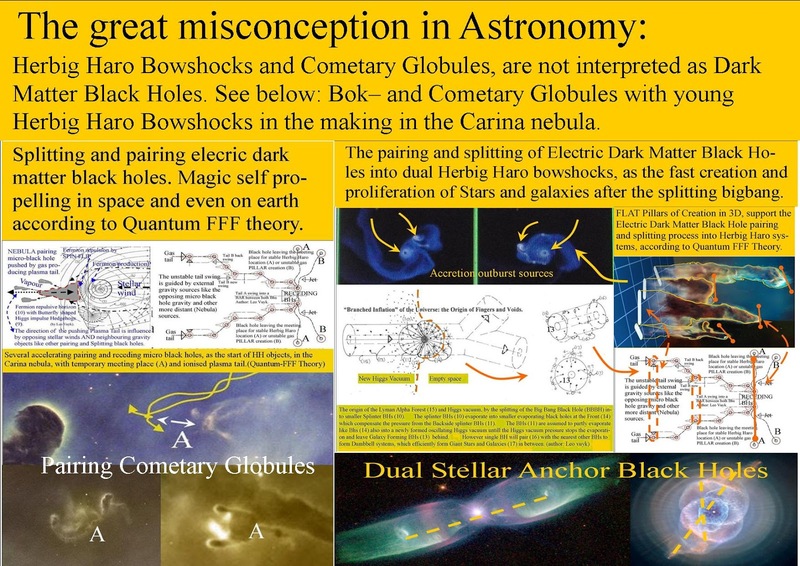 Most of the galaxies apparently have sailed far away from the collision. 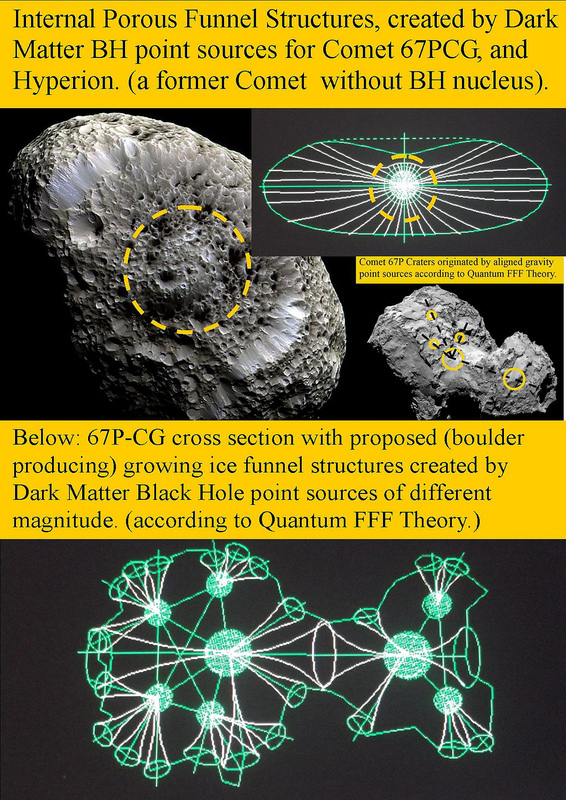 see also: Bullet cluster with central DM core. 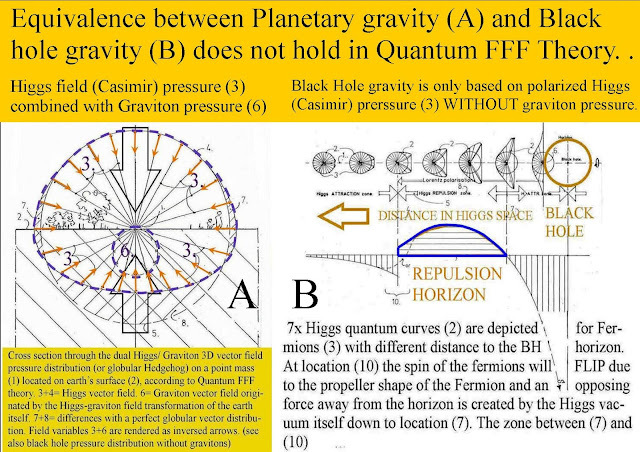 Black hole gravity and Fermion gravity is not equivalent in Q-FFF Theory. Quantum Gravity on a black hole nucleus is adopted to be the result of only a single particle based axion/Higgs field (Casimir alike) pressure. 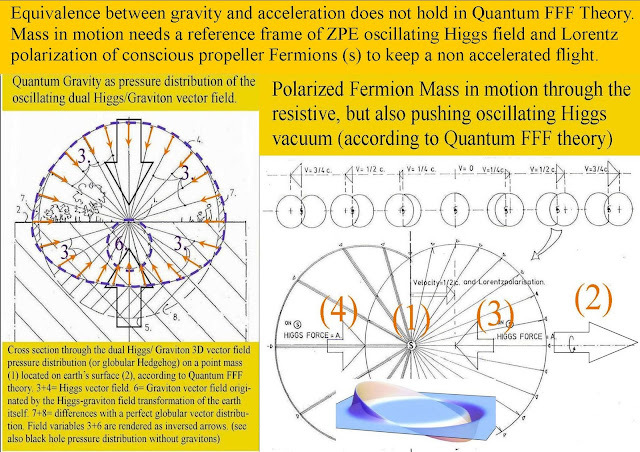 Even the Equivalence between Quantum gravity and acceleration does not hold in Q-FFF Theory. 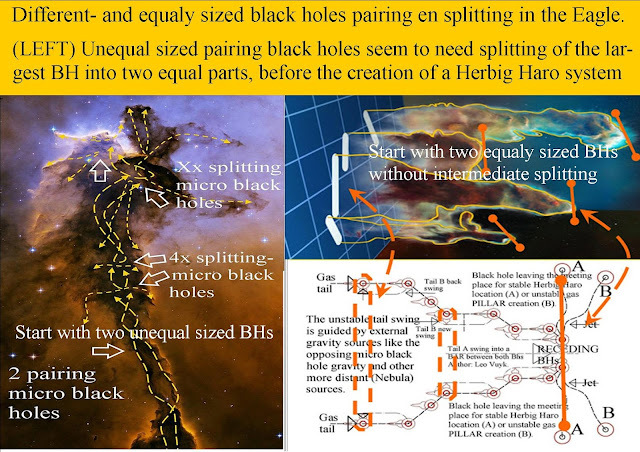 Galaxy Cluster Merging and Vacuum Absorption by black holes as Support for a Contracting Universe. 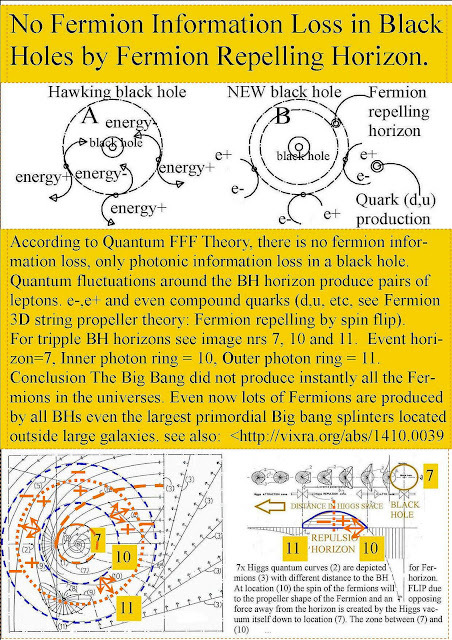 According to Quantum Function Follows Form Theory, the big bang was the evaporation and splitting of a former Big Crunch black hole nucleus of compressed Axion Higgs particles into the oscillating Axion /Higgs field vacuum lattice respectively chunky nuclei of dark matter black holes. 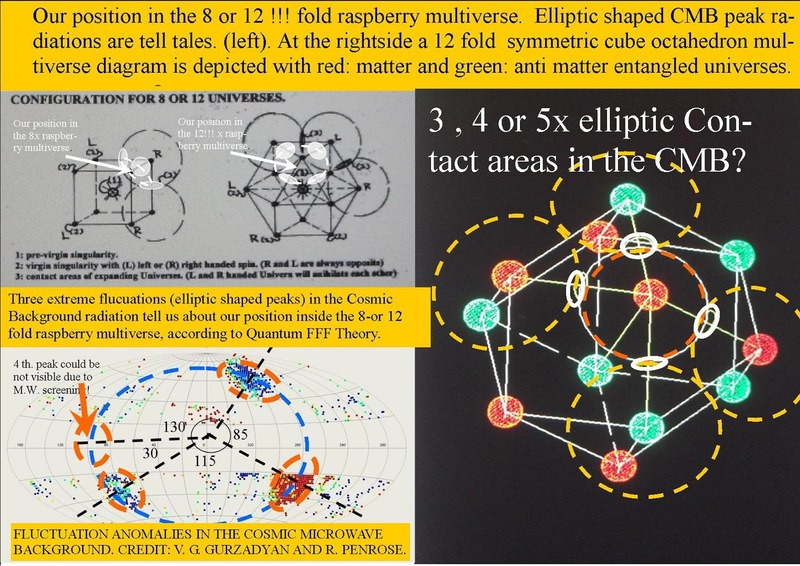 At the same time this explosion should remain symmetric by entanglement and not only produce material universes but also anti material universe bubbles in the form of a raspberry, the multiverse. 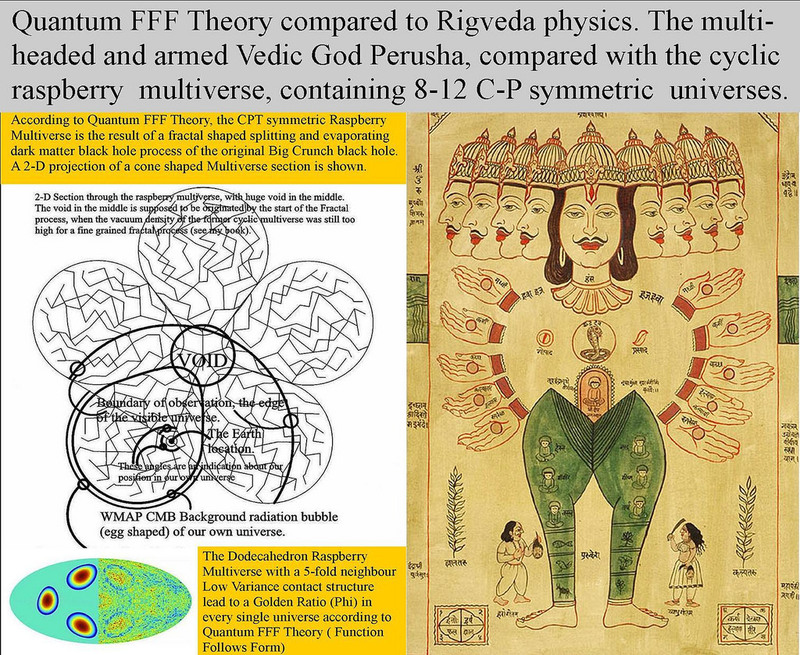 As a consequence, of a cyclic multiverse we should be able to find signs of a contracting process inside our own universe. One of that signs is the well known merging of galaxies into clusters and Galaxy cluster merging into galaxy super clusters. However it is still not observed that the vacuum space between the galaxy super clusters is also contracting. 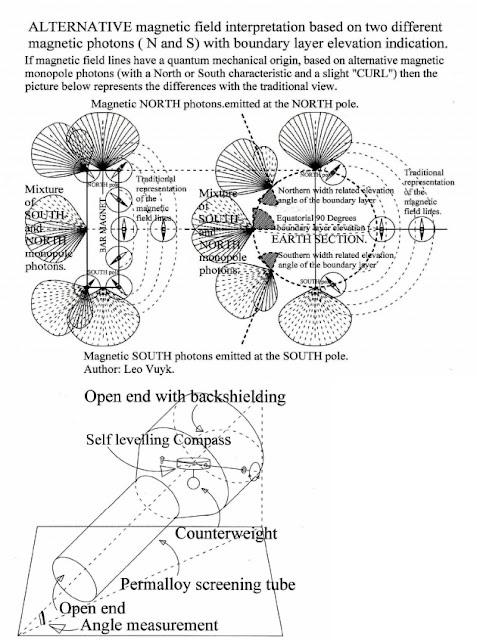 The Hubble redshift we observe, is the main objection for such a contracting vacuum system which is adopted by the physics community as a sign for the expansion of the universe. 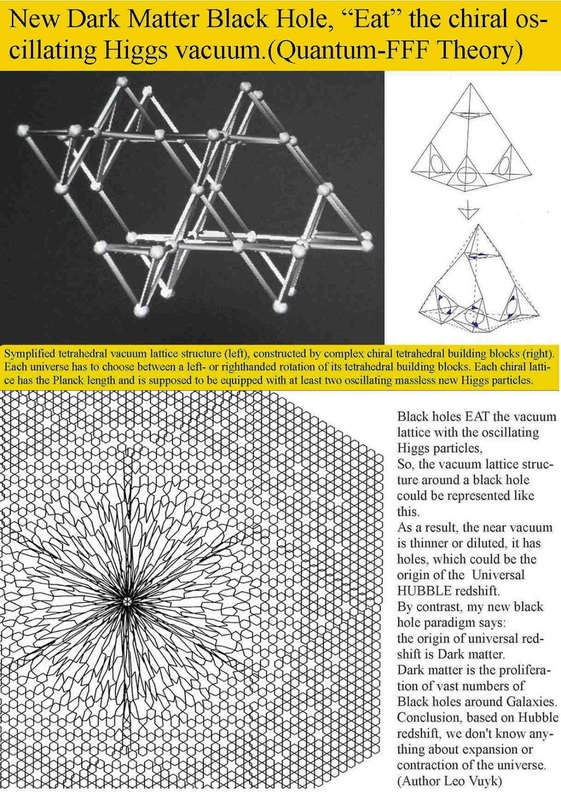 The Hubble redshift is not a definite signal for expansion if we adopt that the redshift is also subjected to a process of vacuum absorption by proliferated chunks of “new physics” electric dark matter black holes. 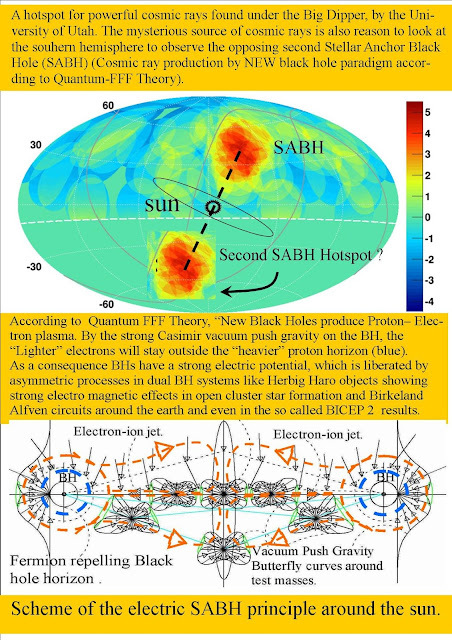 Recently I found that the merging of galaxy clusters itself show dynamic observational signs of a contraction of the vacuum inside the merging galaxy clusters by the anomalous central clustering of the dark matter black hole content which seems to be stripped from the individual galaxy clusters located at the borders of the new super cluster. 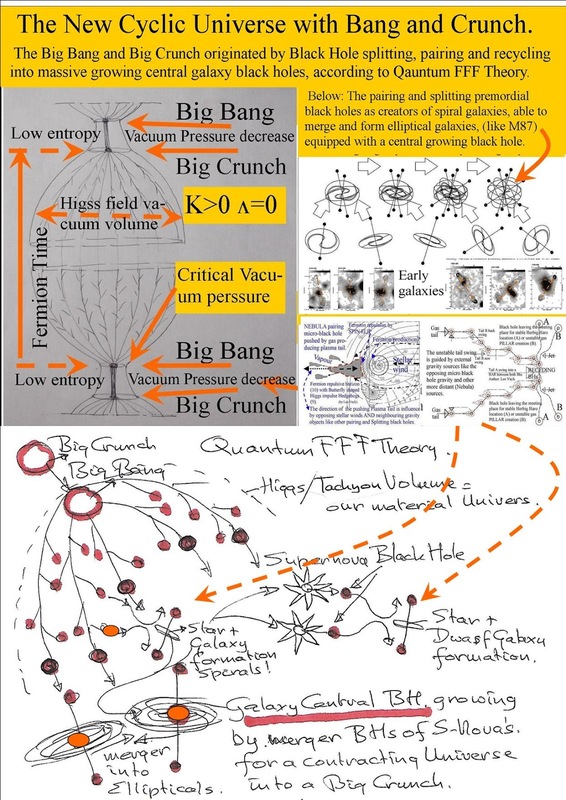 If there is vacuum absorption inside galaxy clusters, then we also may assume that the universal vacuum between galaxy clusters should be also subjected to this absorption process, as a sign for universal contraction leading to a big crunch black hole. 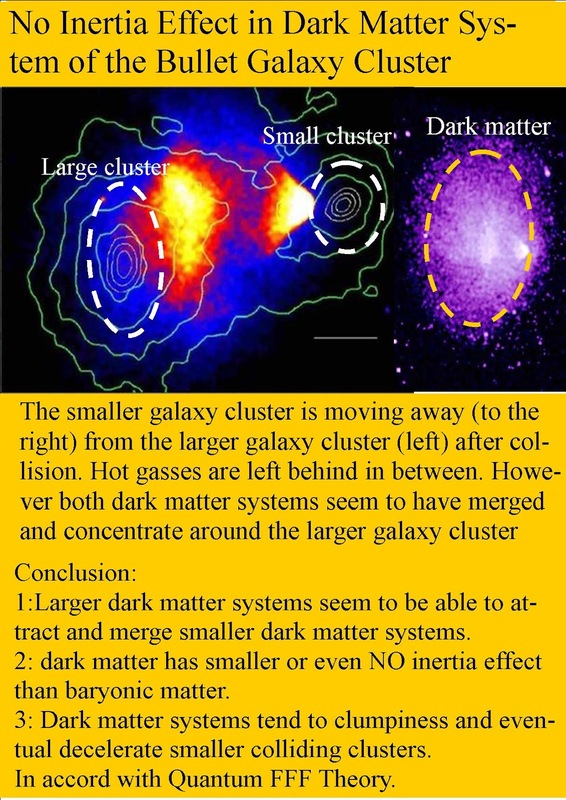 No Inertia Effect in Dark Matter System of the Bullet Galaxy Cluster, The smaller cluster lost most of its gas and dark matter content to the larger cluster. The smaller galaxy cluster is moving away (to the right) from the larger galaxy cluster (left) after collision. 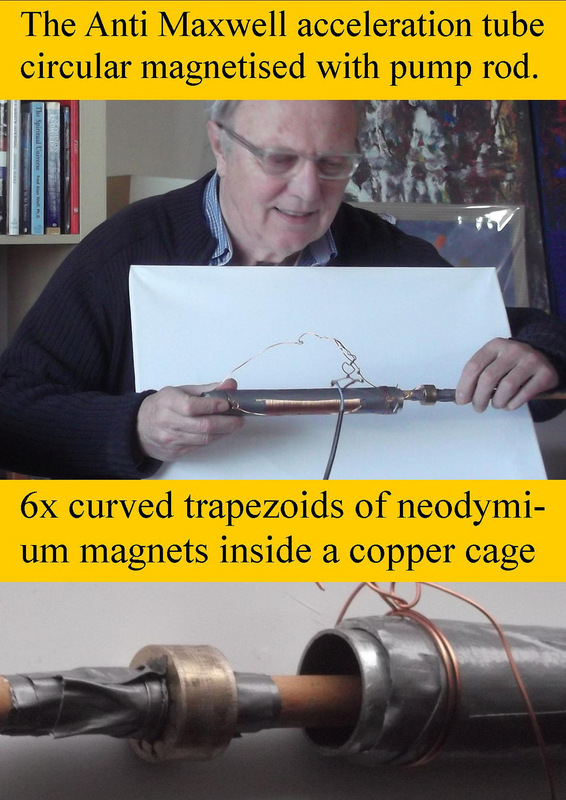 Hot gasses are left behind in between. 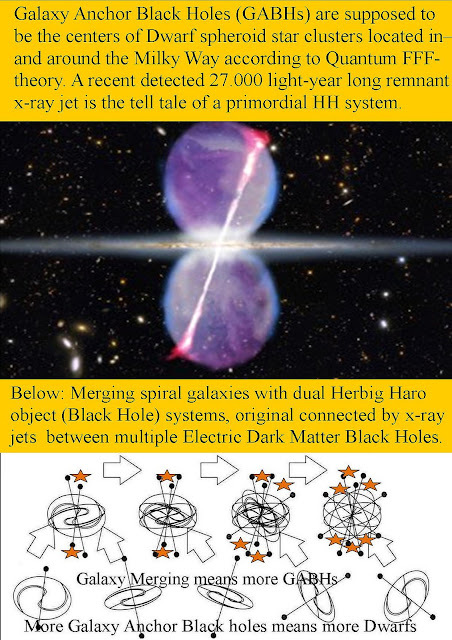 However both dark matter systems seem to have merged and concentrate around the larger galaxy cluster. The smaller cluster lost its dark matter content to the larger cluster. 1:Larger dark matter systems seem to be able to attract and merge smaller dark matter systems. 2: dark matter has smaller or even NO INERTIA than baryonic matter. 3: Dark matter systems tend to clumpiness and eventual decelerate smaller colliding clusters. In accord with Quantum FFF Theory. Electric Dark Matter Black Holes Outside and Inside Galaxies possibly related to the creation and contraction of a Cyclic Universe. 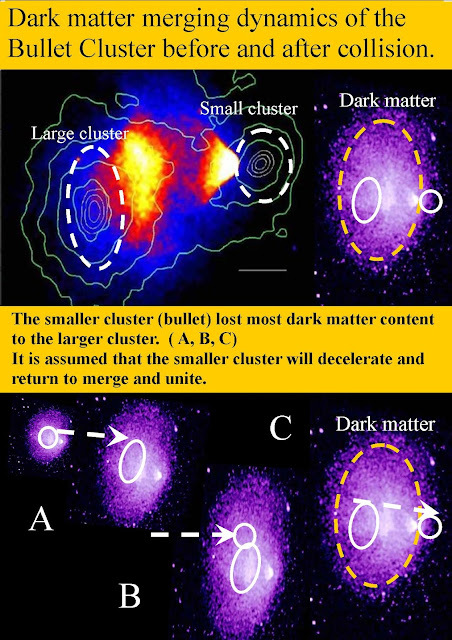 Dark matter merging dynamics of the Bullet Cluster before and after collision. It is assumed that the smaller cluster will decelerate and return to merge and unite. 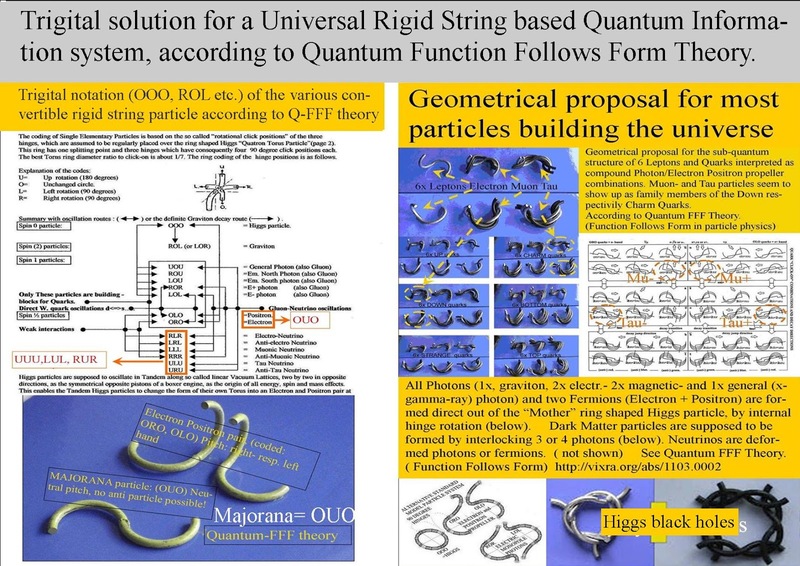 Trigital solution for a Universal Rigid String based Quantum Information system, according to Quantum Function Follows Form Theory. The origin of Calabi-Yau Space Driven Fermion Topology in String Theory.